This is how we define Social&Care: technology designed to improve the autonomy of the elderly or with some degree of disability.We believe that we have to contribute our little grain of sand to society and there´s no better way than helping those we love the most. 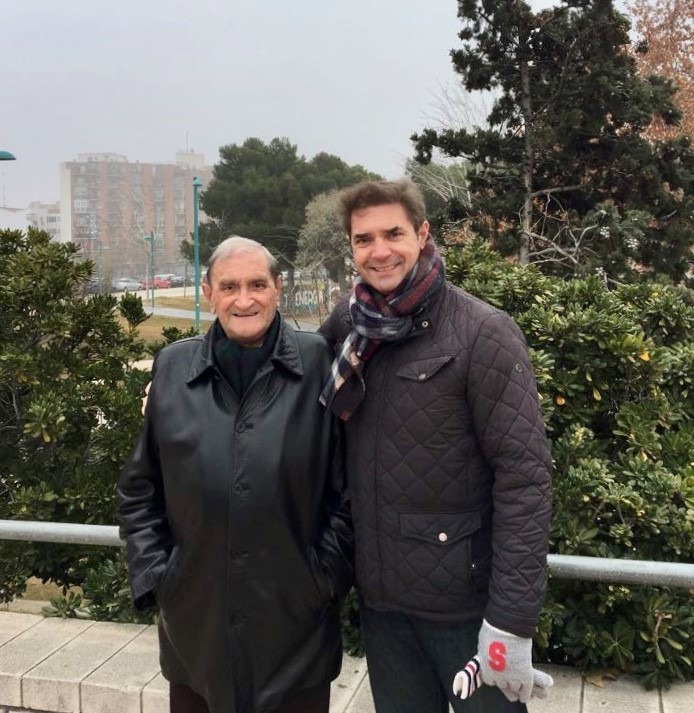 At the beginning of 2014, Ignacio Barraqué, CEO and founder of Social&Care, suffered closely how his father had an angina and a heart attack. José Luis, Ignacio’s father, lost the confidence to go out into the Street on his own and make a life for himself and he retired at home. At that time, his son Ignacio decided to find some means for his father to have the same quality of life as before. He went to the Social Services and there they explained all the possibilities available of help: home help, telecare and Social Health centers. Unfortunately, none of these services covered the needs of José Luis, since he was not a dependent. It was then when he decided he had to do something to help his father. In November 2014 when he meets Daniel Cebollada, an expert in Computer Systems, and concerned about the welfare of his parents. Together they decided to bet on the project and make a market study to evaluate if there really was a need, to see the existing technology and the operative in these cases. Social Services cover less than 40% of the population that needs help with technology in their daily life. At least one and a half million people do not receive any kind of help, neither public nor private. With these revealing data, they decided to develop a solution with which they were clear that it could help many people. That´s how Social&Care was born, as a result of a daily need that could happen to any family and that needed an immediate response. Once the need was detected in such a large part of the population, they went to different associations and entities to know the problem firsthand and decided to make an application for smartphones. Simple, useful and automatic: users don´t have to do anything. With all the information they had, they defined locations near his home, which José Luis called familiarly “safe place”, and when he arrived at one of those locations, Ignacio received a notification. That was what gave José Luis the security to be able to go out on his own and know that, if something happened, his son was going to be up to date and warned immediately. Acceleration programme funded by EU for IoT entrepreneurial projects.